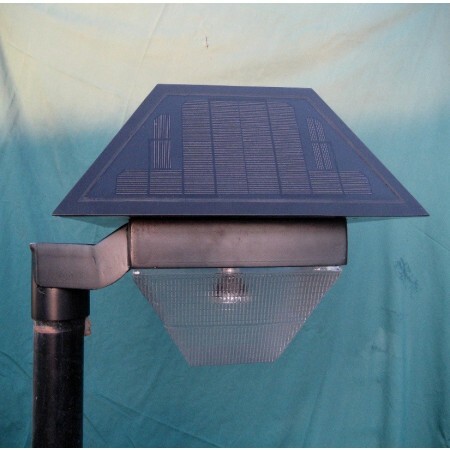 The ground area solar coach light provides excellent lighting for parking lots, roads, and parks. Its pole has been moved back a foot to provide lighting straight down. The bulb varies slightly from other models in that it is downward facing. Lighting provides 20 to 25 foot road area below the pole. 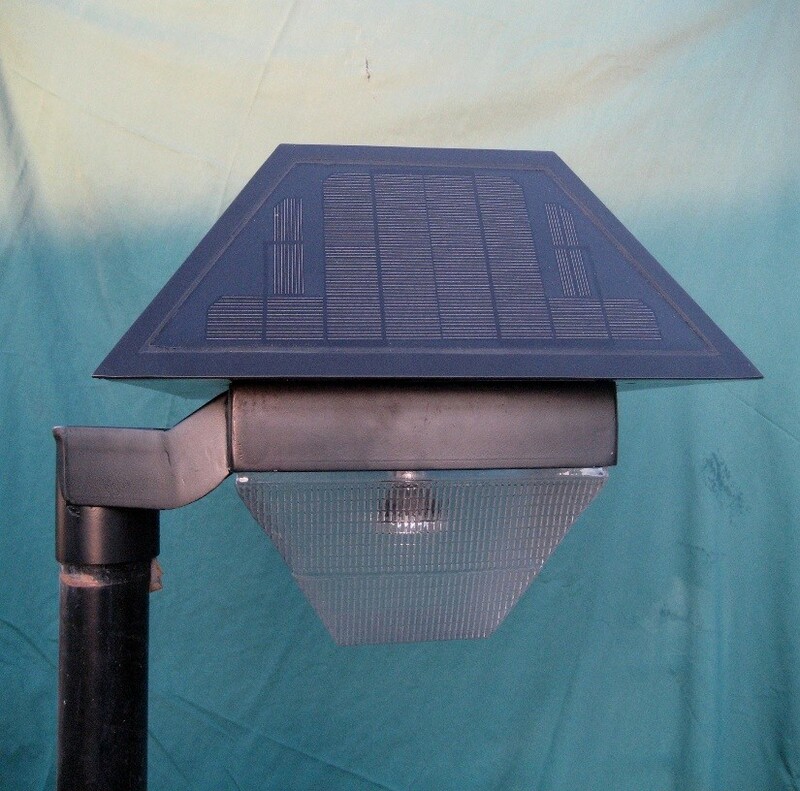 Product contains the American made solar light controller and battery. Light can come with optional snow cap.